Suitable for a wide variety of uses and applications, the Pine Torus Skirting Board is a highly durable wooden module that will provide an exceptional finishing touch to any interior wall or staircase. Handcrafted from premium quality pine timber, this feature has been manufactured with the utmost attention to detail. 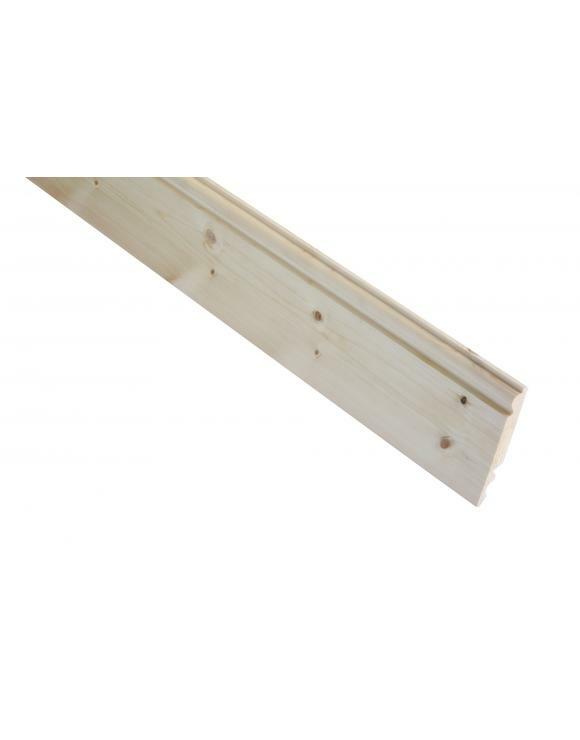 Available in length sizes of 2100mm and 3000mm, the Pine Torus Skirting Board is suitable for any length of wall and is highly adaptable. Lending itself to an easy fixing with pins, nails, screws or adhesive glue, anyone can give their home the finish that it deserves. Start with the longest wall you will be fitting on and work outwards from an interior corner. Whatever room or feature the Pine Torus Skirting Board is used with, it is guaranteed to make the finishing touch that you hoped for. At Blueprint Joinery, we recognise the importance of getting even the smallest details on point, which is why we ensure that nothing leaves us unless it meets our own high standards.